Neal McLeod defines himself as half Cree (having grown up on the James Smith reserve in Saskatchewan) and half Swedish, and has studied at the Swedish Art Academy at Umeå . He has exhibited his art work throughout Canada, including in the 2005 exhibition au fil de mes jours (in my lifetime) at Le Musée national des beaux-arts du Québec, an exhibition remounted at the Museum of Civilization in 2007. McLeod’s first book of poetry, Songs to Kill a Wîhtikow, a book graced by colour plates featuring his dynamic artwork, was nominated for several Saskatchewan book awards and book of the year at the Anskohk McNally Aboriginal Literature Awards. His second book of poetry is entitled Gabriel’s Beach. A teacher of Indigenous Studies at Trent University in Ontario, McLeod is currently editing two highly topical works, a volume entitled Indigenous Poetics with Randy Lundy and Natasha Beeds, and also an anthology entitled Cîhcêwêsin: new writing from indigenous Saskatchewan. This oppressive darkness enters McLeod's poetry most prominently in the titular figure of the wîhtikow. Wîhtikow is a cannibal. Antisocial in the extreme, the wîhtikow turns inward from society and consumes other beings for his own narrowly conceived benefit. 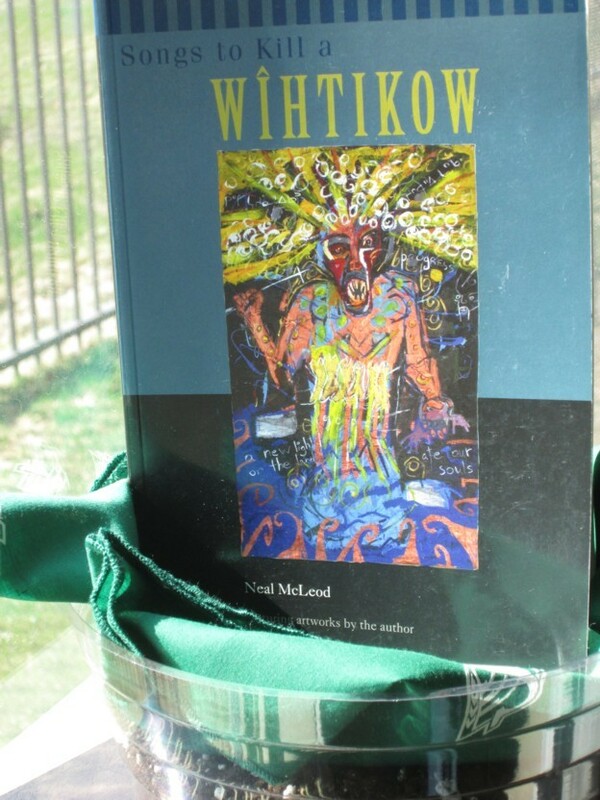 Within his poetry and art, McLeod deploys the wîhtikow as a powerful metaphor for the greed and individualism consuming our society, which he describes as "the attempt to swallow the light from the sky of the world."